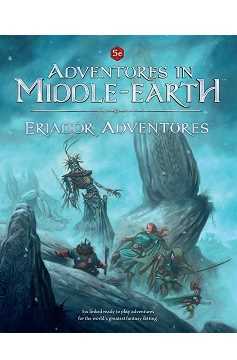 This action-packed set of adventures takes your Company around ruin-haunted Eriador, and is the companion volume to the Rivendell Region Guide. Children kidnapped in the night, unusually cunning Trolls, a mysterious caravan, the fate of a company of Hobbits, the legacy of the Dúnedain and an evil awakening beneath the barrows – six new stories set in the ancient land of Eriador. Six adventures that need a company of heroes to undertake them. 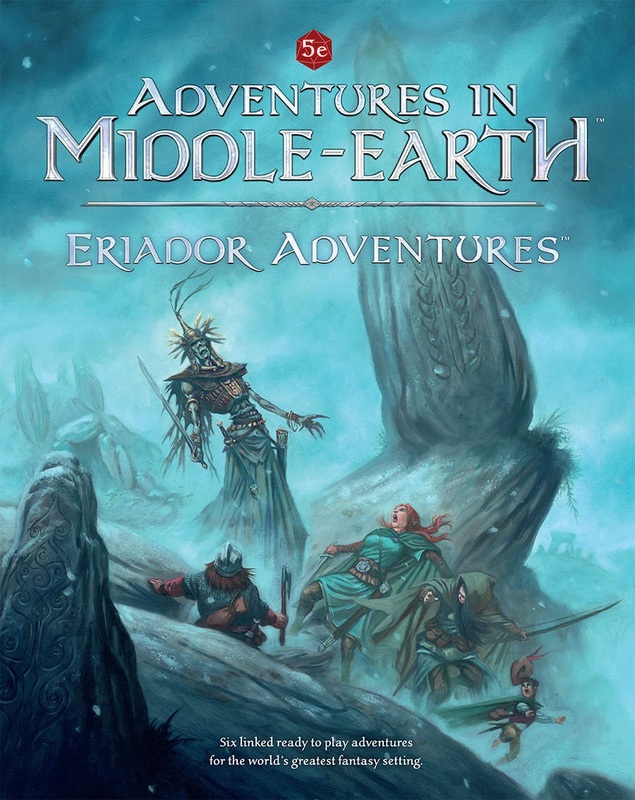 Eriador Adventures contains six ready-to-play adventures for Adventures in Middle-earth™, complete scenarios that can be played separately or as an epic series spanning a number of years. All adventures are set in the years prior to 2977, and take place in the lands surrounding Rivendell. The adventures are suited to characters beginning at around Level 5, and ending at around Level 10. Eriador Adventures complements the background and rules material contained in the Rivendell Region Guide. Delve into the ruins of overgrown Fornost, walk amidst the cairns of the Barrow-downs and venture to the lair of the Witch-king of Angmar himself, the ancient city of Carn Dûm — if you have the courage!.